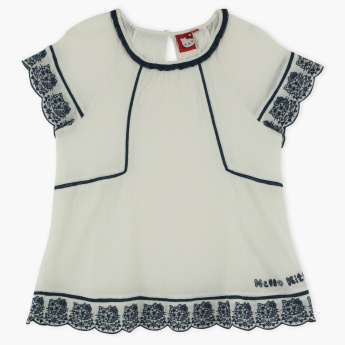 Fashioned with an embroidery on the hem and sleeves, this top is sure to make your daughter stand out. Adding to its overall appeal, the round neckline has a contrasting piping detail. 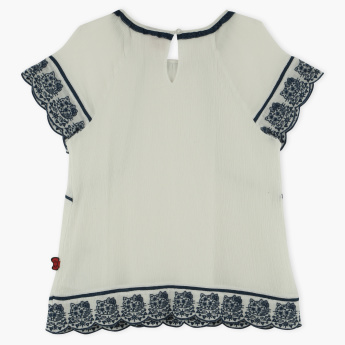 For ease of wearing, this top comes with a keyhole closure on the back.